With its variable and reverse settings, the Bosch GBH2000 240V SDS Plus drill is a versatile and reliable tool. The drill is fitted with an overload clutch to ensure both the user and the machine are protected on the job, and the tool can comfortably and efficiently go through tough materials including masonry and steel. Replaceable carbon brushes make maintenance simple and quick, while the all-metal gearing means that the tool is long lasting. An accompanying carry case provides protection in storage and on the move.  Bosch GBH 2000 Corded SDS Plus Drill 240V is rated 4.6 out of 5 by 137. 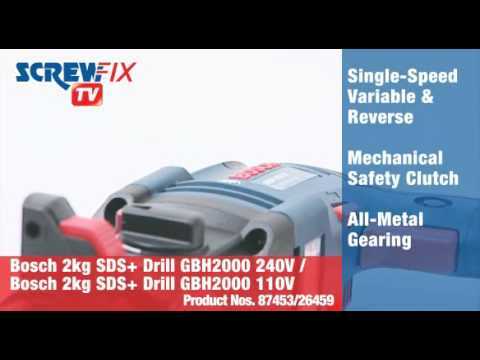 Rated 5 out of 5 by Hewesy from The perfect mains DIY drill Absolutely brilliant drill, for the average or keen DIYer or probably most trades this is all the mains drill you need. Light to hold but can easily drill 10mm into brick and concrete with no hassle and power to spare. The chisel mode is fine for light use, basic chasing out and with a spike will cover small demolition but it isn't a breaker replacement. The Chuck attachment is worth buying at the same time to cover non-impact drilling with standard bits. Rated 4 out of 5 by FranMick from A bit under powered... For straight drilling this is a good drill, but for hammer drilling into hard brick this is definitely lacking a bit of impact power! Rated 5 out of 5 by Bopstoke from IMPRESSED Only used it for 3 days but very impressed with this drill , had Bosch before so looked for another one . Looks like ive made the right choice again and used the click & collect which was great . Rated 5 out of 5 by Loddy from Fantastic value for money Super impressed by the gbh model drill, which I purchased to replace my 23 year old gbh model. Cannot fault it as of now. Highly recommended. Rated 5 out of 5 by Jcplumbingyork from Bosch SDS Great drill for drilling and chiselling, struggles a little bit with larger core holes but still gets the job done. Rated 4 out of 5 by UftonRambler from Bosch GBH 2000 This is a replacement for another makers, cheaper, SDS drill that did not last long. Other Bosch professional pieces that I have proved to be very reliable and I have no doubt that this one will also. have not had it long enough to truly rate reliability, but I am confident.